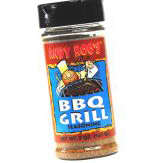 Use ANDY ROO’S BBQ GRILL SEASONING in all of your favorite barbecue recipes. 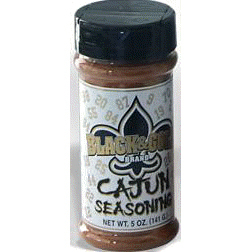 Simply sprikle it on prior to grilling. 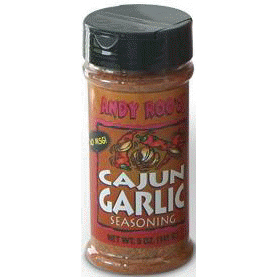 Tastes great on chicken, beef, pork, seafood, vegetables, in bean dishes and cream sauces. Enjoy! 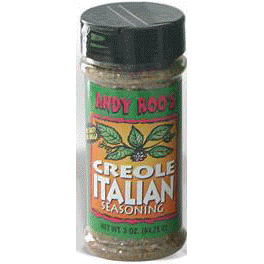 Ingredients: onion, garlic, black pepper, red pepper, paprika, cumin, chili powder,salt and other herbs and spices. 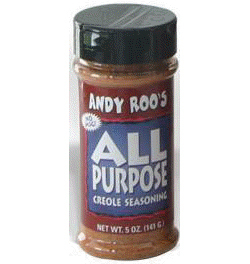 Smoke flavoring added.